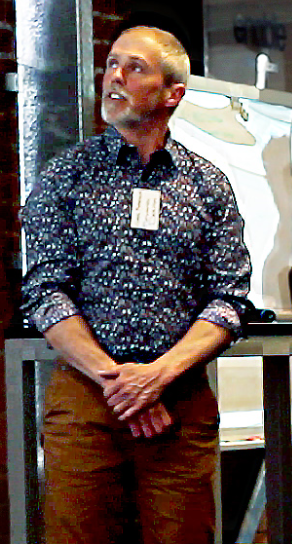 Presentation by Greg Morehouse at Aerospace Meetup #3! In 1986 I was lucky enough take one of the 1st Finite Element Analysis (FEA) courses offered in Arizona. The instructor was a Mechanical Analyst from Ford, and he had amazing practical and theoretical nous. He challenged us to really understand the strengths and weakness of this new Finite Element (FE) technology. Which served me well in my first posting at Hercules Aerospace. Our department was being hammered by the US Air Force on our tooling analyses. They required FE validation of many of our assumptions, and I was one of the only engineers in the department trained to do it. I was lucky enough to have a mentor in Hercules that knew more about structural analysis than Bill Gates knows about software. He helped me understand how to validate our analyses even though he couldn’t run a computer. So my first learning in aerospace was “Understand your tools, know their strengths and limitations”, and “Highlight to your client what you have confidence in, and where more work might not go amiss!”. When Boeing came head hunting for Analysts, I got swayed by big money and a title. Engineering Analyst! It’s what I’d been doing for three years, so seemed only fair that I get the title and a raise. But what I found at Boeing was a box in which I was constrained, unable to do my best work. Instead of the loose framework I was allowed to work within at Hercules, which allowed me to be creative while ensuring the standards of our department and firm were met, I found at Boeing rigid structures within which I couldn’t do my best work. For example, their IT system was so shut down there were days when I couldn’t even work! As engineers we were creative and tech savvy. We could load specialist packages, like FEA, and tweak config files etc to allow multiple processors and page file sizes etc., to double or triple the speed of our FE installations. Yet the IT department had so locked down our permissions that we had to just put up with poor or inadequate performance. That feeling was endemic in the team I was in. That even if there was a better way, we wouldn’t use it. We did it the Boeing way. From restricting me to only analysis, when my passion was using analysis in the design process, to forcing us to throw our designs over the fence and let someone else deal with the fabrications issues etc., I learned to “Enable Design Engineers all the way through the products lifecycle” and “The power of frameworks versus constraints in enabling an engineer’s best work”. Can we get the bought out items in the parts list? Are the tolerances cost effective to manufacture? Has enough analysis been done to ensure functionality through the life of the design, and to ensure the people aren’t harmed in the process? These are all considerations which are best thought of and managed up front in the design process. But in my team at Boeing they always seemed like someone else’s problem, and the solutions to these problems were very inefficient. The good things I learned at Boeing were that even if you do things inefficiently, you can “Train people extensively”. Which helps! And if you have enough checks and balances, you can still get an amazing product out of the process. I’d still rather fly Boeing than any other manufacturer. They “double check and test” with the best of them! 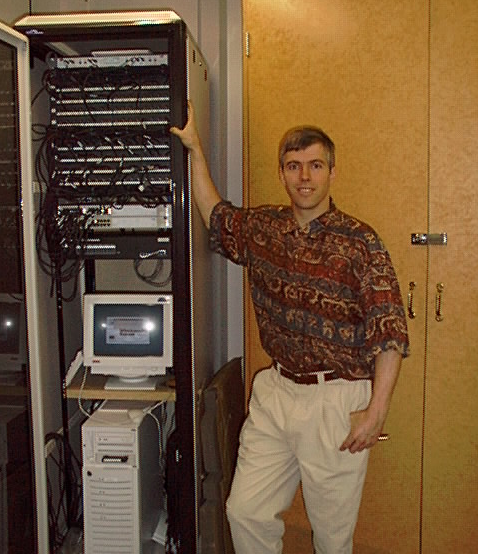 Greg as Engineering IT Manager - Circa 1997! At PDS Engineering I had another amazing mentor in one of my best mates, Brian Holmes. Brian wasn’t my boss initially but he did everything in PDS, from estimating the jobs to concepting, modelling, drawings, design verification (analysis) and commissioning our designs in Boeing. He was head of the Analysis department, and I was just a Tooling Engineer. We were at completely different places in the organisation, but completely aligned on what it took to create amazing engineering. He had developed all of our processes in MathCAD, and my affinity for it and my skill in analysis meant that he asked me to replace him when he went on to management. I took the processes he introduced me to, and developed them to an amazingly efficient design document in Motovated. From Brian I learned that both the creativity of Hercules and the rigor of Boeing was possible within the correct framework. “Good engineers do amazing engineering with the correct systems” was what I took from Brian and PDS Engineering. In New Zealand we’ve been involved with aerospace interiors design as well as the development of the Martin Jetpack doing design validation to aerospace codes. Our engineers have brought both the rigor of Boeing and the #8 wire creativity of Kiwi’s to tweak UK validation processes to work within our time frames and budgets. Leon’s specifically taken the Motovated Way and expanded it to enable "validation and test via our Minimum Viable Simulation® and Minimum Viable Product processes". Highlight to your client what you have confidence in, and where more work might not go amiss! I didn’t get a chance to talk about what I really wanted to, like the cool Delta II, Titan IV and Pegasus Rockets, and the Boeing 747 Upgrades and the 777 program. These were projects where I learned how to engineer. But it doesn’t matter what you’re engineering, the basics always apply! 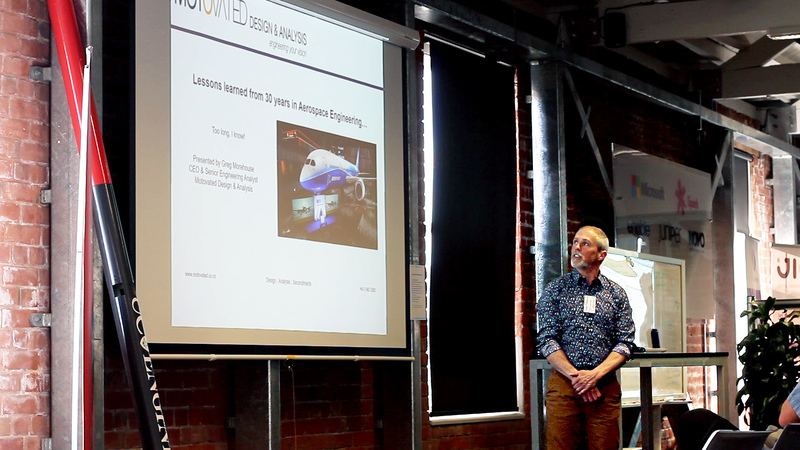 Here is a link to my recent presentation at Christchurch Aerospace Meetup #3. Give me a call if you'd like to chat! Greg started his engineering career keeping the motorcycles and snowmobiles he raced running. He expanded that knowledge for VW & Audi as a mechanic and later joined Boeing & Hercules Aerospace as an Engineering Analyst. 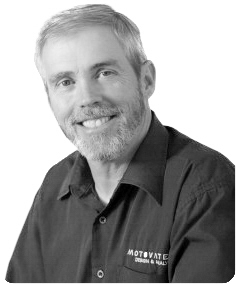 With more than had 20+ years of real world design and analysis experience, Greg started Motovated in a mission to “Cost-effectively engineer our Client’s Vision, through advanced techniques, superior tools and boundless enthusiasm!" He's been at it 40 years now!